A boiler system can be a very effective and efficient way to heat your home, but just like any other heating system out there, it is important to make sure that you are getting the proper care for your home's boiler system whenever something goes wrong, as without the proper care, the efficiency of your boiler system can decline incredibly quickly, and you might find yourself facing more and more expensive and expansive boiler repairs. Here at Mobley Heating & Air, our team of local air conditioning and heating experts have a great deal of experience with boilers and their care, and with our help, you can have your boiler back up and running like new in no time at all. When it comes to the quality of care for your home's boiler system, you should never have to settle for second best, and when you make the call to our team of professionals here at Mobley Heating & Air, you never will. Here at Mobley Heating & Air, we strive to make sure that you have access to the high quality services you need to keep your home at its most comfortable at all times, and repairs for your damaged or malfunctioning boiler system are a big part of that equation. Our team of local air conditioning and heating experts will work diligently to uncover any and all issues that your home's boiler might be experiencing, and provide you with the timely repairs you need to get everything working as efficiently as possible once again. No matter what kind of condition your boiler is in, our team of professionals will work their hardest to leave it performing its best. If you have any questions about our full line of high quality boiler repair services, or if you would like to schedule an appointment for consultation with one of our specialists, give us a call today. Our team of experts are always standing by and would be more than happy to assist you in any way we can. 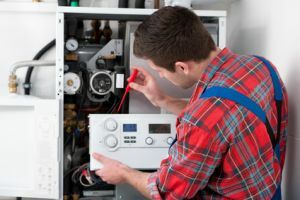 While boilers are one of the most efficient and effective heating systems out there, they are also one of the most uncommon, and as such, there are a number of different heating service providers out there who are unfamiliar in how to properly care for them. Here at Mobley Heating & Air, that isn't an issue for us. Our professional heating contractors understand that with the right care and regular maintenance, your boiler could easily last you for years and years to come. With the help of our professionals, you can get the quality repairs and continued care you need to keep your home's boiler functioning its best year after year. 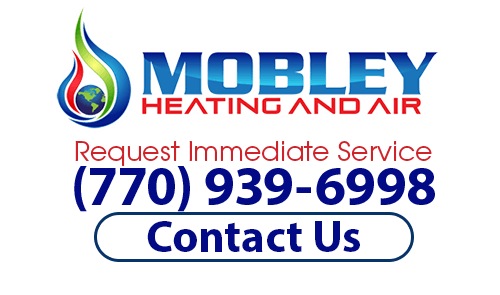 If you are looking for reliable boiler repairs, then please call our heating contractors at (770) 939-6998 or complete our online request form.